Who’s Up for Some Putt Putt? Located at Glacier Canyon Lodge by the Lost World Outdoor Waterpark, this exciting 18-hole outdoor mini golf course is truly fun for the whole family. 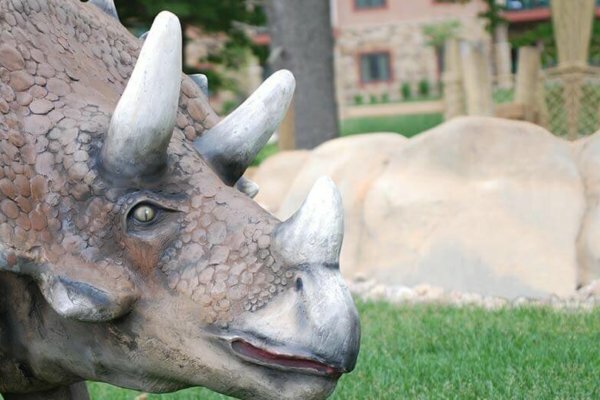 See how many dinosaurs you can identify throughout the course, and be sure to have your picture taken in the huge broken dinosaur egg at the end! Open seasonally as weather permits. $7 for 18 holes per player plus tax. *A child is considered to be 3-11 years of age. This attraction not recommended for children 2 years and younger.